I have seen many roads which are dead straight in US and Thailand, but I am yet to come across any straight stretch of road in India which goes on for more than 50 odd kms. Which is the straightest stretch in India that you are aware of. Please share your experience if you have driven on that stretch road? Let us talk about straight stretches beyond 40-50 kms, Are there any in India? My favorite is Ahmedabad Vadodara Expressway. One of the smoothest, straightest roads I have driven on. Not sure - I fall asleep after 5 kms on straights! On a serious note - I think the only arrow straight stretch I've come across in South India is the Dhanushkodi road, but even that is not more than 5 or 10 kms. Most of the roads in the Salem - Kanyakumari road and Bangalore - Pune road are pretty boring straights, but none qualifies for the description of your thread, because its not arrow straight beyond 2-3 kms at a stretch. PS - You are asking this question in a country where even BHPians claim cruise control is useless. Last edited by CrAzY dRiVeR : 5th September 2018 at 10:02. 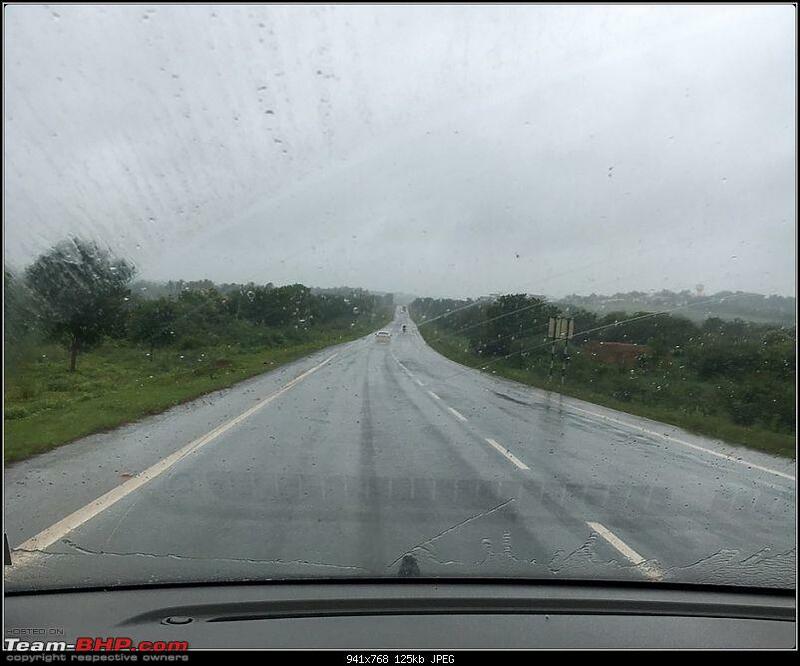 I have seen many roads which are dead straight in US and Thailand... Let us talk about straight stretches beyond 40-50 kms, Are there any in India? What is the longest dead straight that you have seen in US and Thailand? My dad's a civil engineer, per him roads are actually designed to have curves to prevent boredom and possible drowsiness during driving. Not that driving in India is ever a boring job, what with keeping eyes peeled for dogs, cows, autos, people, maniac drivers, ill-placed trees, dead trucks, mid-road workshops etc etc etc. I second Paragsachania. I recently did a cross country road trip and have passed through some of them. Similarly Ambala to Ludhiana, Pathankot to Jammu you will find arrow straight ones. Often these roads are either crowded or suffer from broken sections that are undergoing renovation. Indeed. I missed on the Delhi - Chandigarh section that we did during 2014 as onward route to Ladakh and then on return we did Jallandhar and I do remember specifically few hundred km of this were super straight with a railway line running in parallel for almost the entire 100 km stretch that I drove beside a train for company on a lonely night. While I would miss the train as it stopped at a station, It would catch up with me again when I would wait at the toll booth. Similar was the case with Varanasi - Dhanbad section as well with roads nearly straight and empty (back then in 2013 and 2014) and freight and passenger trains to accompany most of the times. The only thing about Delhi Chandigarh route is the traffic which nearly takes away the fun of driving on a typical pedal to metal type roads that exist elsewhere. And as I type this, how did we miss Kishangarh - Bhatinda super highway, one of the FASTEST and STRAIGHTEST single carriageway road in India. I haven't driven on this but those I know who have done it swear by the excellent average speeds one gets to do even on a single carriageway here. Gannu_1 I guess took this during his onward journey to Ladakh. Last edited by paragsachania : 5th September 2018 at 11:41. 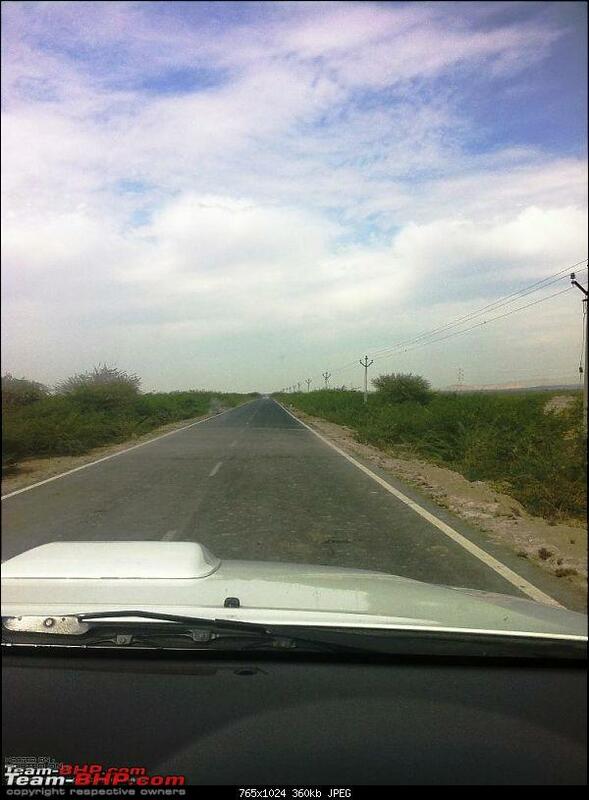 I do not see any Road in India that has Straight stretch for 40 - 50 Kms. Reason being, Most of the villages come on the way and there will be either bypasses built (This means, slight left or right turns) OR Flyovers. 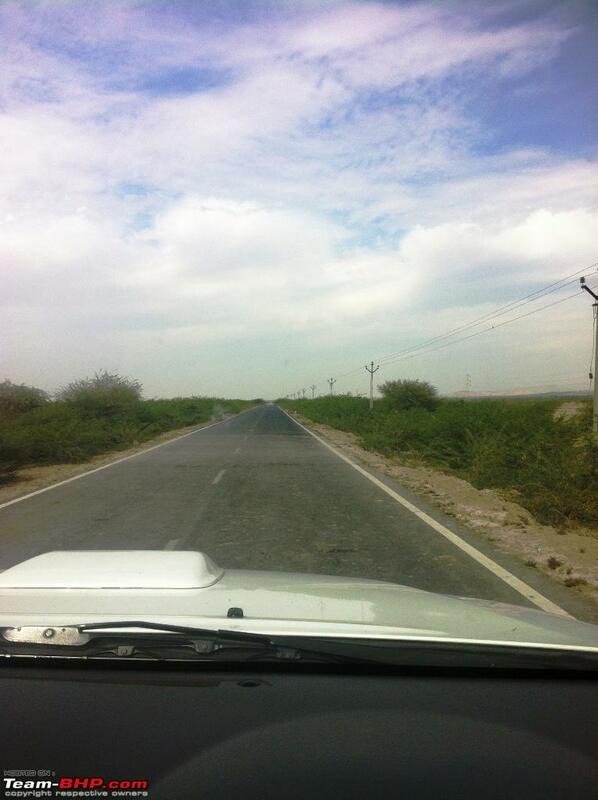 Maximum Straight Roads stretch may be up to 5-10 Kms is my assumption. I did not mention any of the stretches on NH4 Bangalore--Pune--Mumbai sector or for that matter highways in Karnataka--Maharashtra--Goa region where I have travelled extensively, because OP talks about straight stretches of highway that extend beyond 40-50 kms ( "dead straight" as he has clearly put it ) . Is my understanding right ?? In that case, none of them qualify. Last edited by vivek95 : 5th September 2018 at 12:26. To be honest, the Vadodara - Ahmedabad expressway is indeed arrow straight (unless one wants to hold a string on both ends and measure) for a super long distance with minimal curves. Same is the case with GVK expressway and Durgapur expressway but here is where misc traffic bothers you during the day. These are best enjoyed during odd hours and odd days to actually know how straight they really are. This is the same reason I didn't mention Mumbai - Pune expressway even though the stretch from Khalapur toll all the way till expressway ends at Kamalboli is nearly dead straight for that matter. 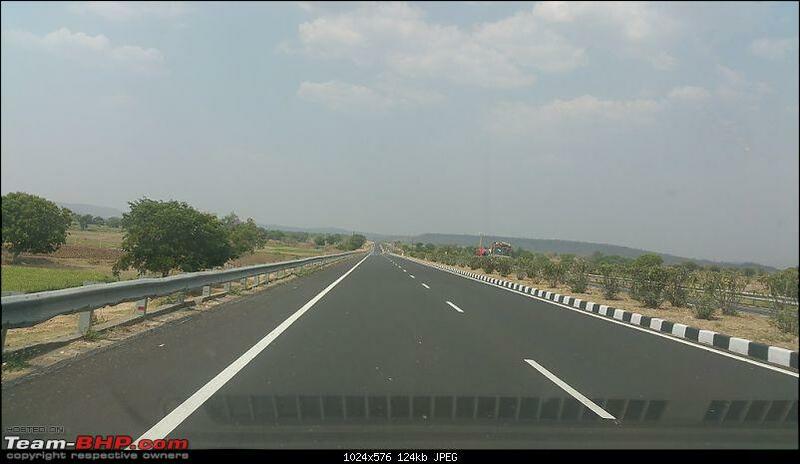 However, on whole, NH4 does have its share of straight sections at least for 3-4 km at many places here and there that I can think of. Last edited by paragsachania : 5th September 2018 at 12:41. 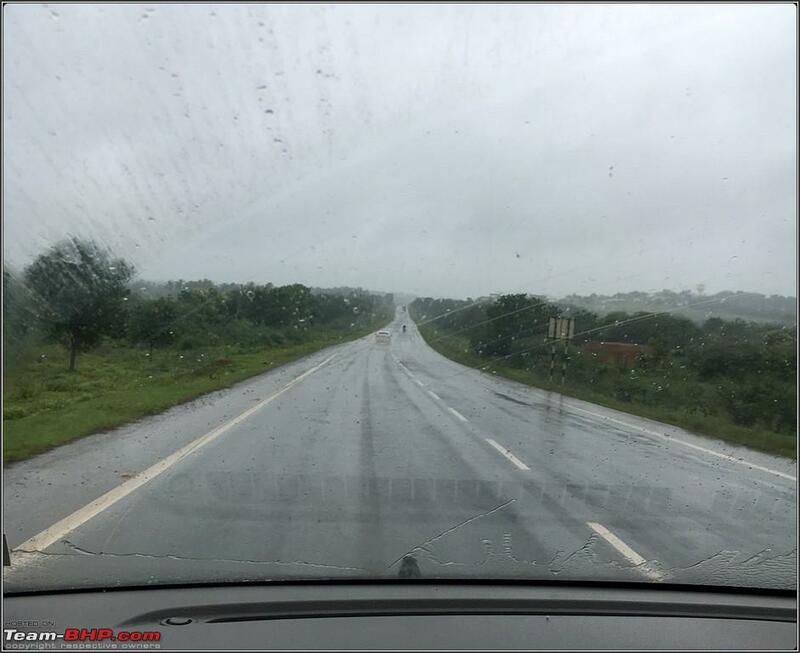 Hubli-Dharwad by-pass is not really that straight - the ups & downs change the profile to add that variety. One reason why I replied above that you cannot hold a string and measure how straight a road is. 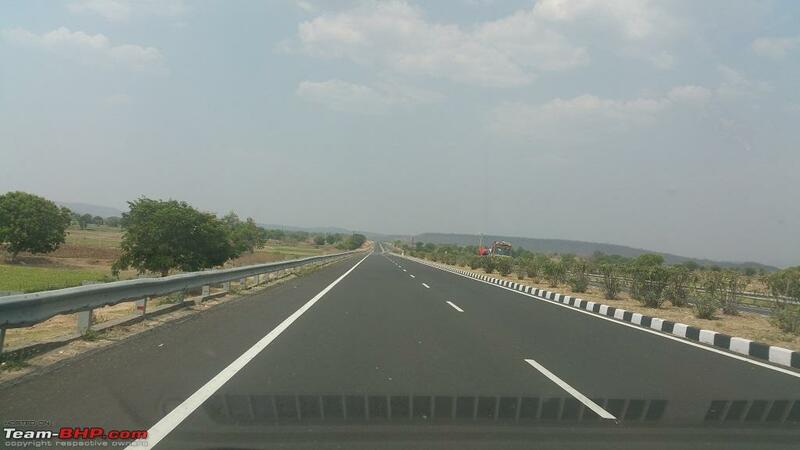 But even by the definition of a typical straight road and various gradients, the bypass of 30 kms has good sections that can be called arrow straight. If you cannot call this straight, I don't know what else can be. And as I mentioned earlier, you will never be able to gauge whether (and how) straight the highway is unless the road is devoid of traffic. Last edited by paragsachania : 5th September 2018 at 12:46. The ones in US / Australian outback .. so many ! You dont need to hold a string, but long enough to go in one direction, with the road in view unblocked by the hillocks on the way.